Washington, D.C. (May 22)—A positive vote today by the District Zoning Commission clears the way for RIA, the mixed income housing and retail complex proposed by MidCity Development in northeast Washington, D.C. The decision follows earlier commission approval and unanimous ANC support in 2015 that granted planned unit development (PUD) status to enable MidCity to redevelop Brookland Manor, its 80-year-old, garden-style apartment community. The two buildings that were approved will provide primarily replacement affordable housing in the form of a beautifully designed 131-unit multi-family building and a best-in-class 200-unit senior resident affordable building. The commission’s action is the second stage approval that allows MidCity to proceed with its plans to build the first new apartments on the 20-acre property. The first residences will be designed and built for seniors, and will welcome all seniors currently living at Brookland Manor. MidCity has committed to a “build-first” policy that will develop new housing to accommodate existing residents before demolishing the old buildings. RIA will be a modern mixed-use and mixed-income community that will offer brand new affordable, senior and family residences. The new community will include a central public park, a full-service grocer and neighborhood shops. Full build-out is expected to last 10 years. MidCity has voluntarily committed to retain its expiring, project-based Section 8 contract. MidCity will also relocate residents on site, at the company’s expense, and will offer current residents the opportunity to remain in the new community. Upon full build-out, RIA will include at least 22 percent deeply affordable housing units. MidCity offers a proud tradition of expertise in the development, acquisition, oversight, and management of multifamily rental housing. 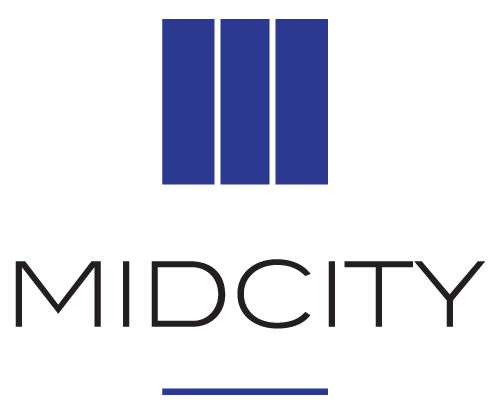 Unlike many real estate development and investment firms, MidCity focuses on long-term value and enduring relationships, proudly carrying on the tradition of strategic public-private partnerships and quality housing established by its founder, Eugene F. Ford. 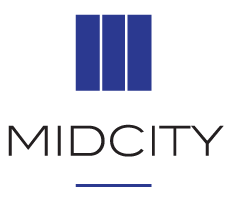 Founded 50 years ago, MidCity is a family-owned firm with a 40-year history of committed investment in the Rhode Island Avenue corridor. Dedicated to RIA’s sustainable evolution, MidCity will remain invested in the community indefinitely. MidCity owns approximately 9,000 apartment units, most in the Washington metropolitan area. Its affiliated management company, Edgewood Management Corporation, manages approximately 32,000 apartments, making it one of the 50 largest managers of multifamily real estate in the United States.